This pool by Diffazur took gold in the International Residential Concrete Natural Pools category at the 2014 APSP Awards of Excellence. Constructing over 1,000 pools each year, Diffazur Piscines is among the world’s largest and most prolific pool building companies. For more than four decades, Diffazur has spearheaded innovation and creativity within the European concrete pools market and shows no sign of slowing down. The French company is the third largest pool building business worldwide in terms of turnover and employs more than 350 people across the group. Director Gérard Benielli explains: “At Diffazur, we try to not banalize swimming pools. Every swimming pool has to be as unique as its owner. 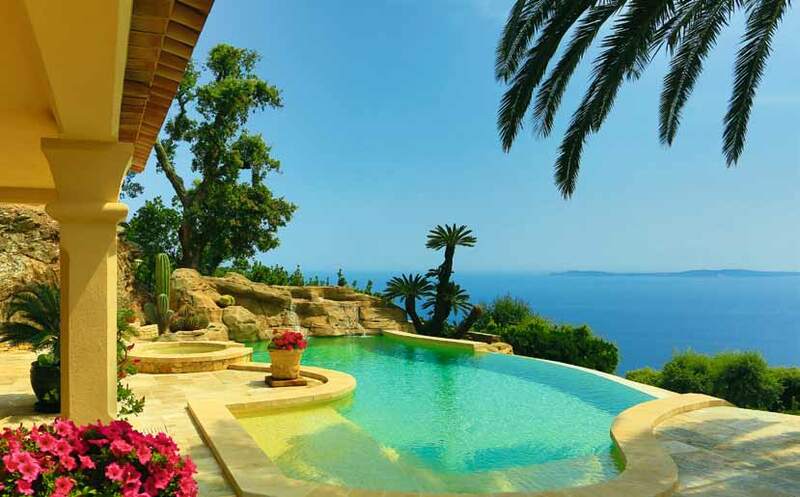 Founded in 1972 by owners Monique Richard-Benielli and Gérard Benielli, Diffazur began as a purely private swimming pool company. Pool construction at that time required input from various trades such as plumbers and electricians, but it was Diffazur’s vision to create an all-in-one company that could fulfil all elements of the project from start to finish. By 1984 and with 400 swimming pools under its belt, Diffazur expanded into the waterparks market with the creation of a dedicated waterpark division to meet the growing demand. Since then, the company has constructed more than 320 water parks and over 26,500 pools worldwide.